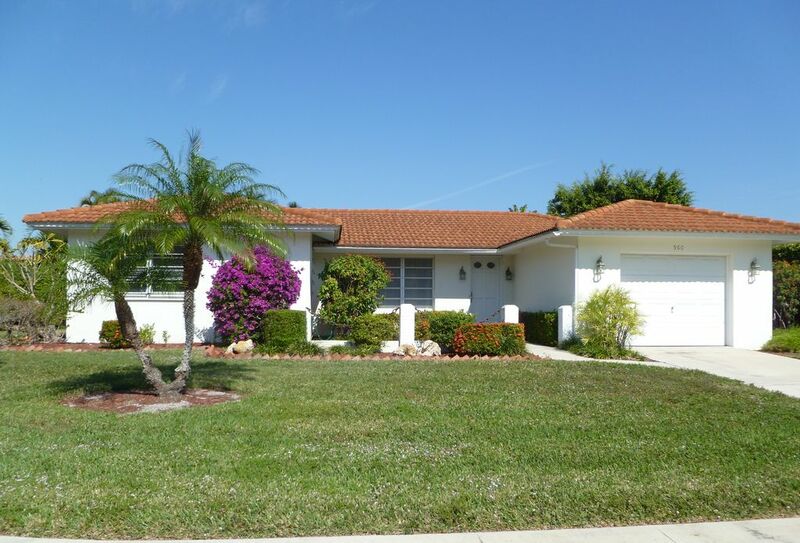 Walk to the Beach from this cozy and beautiful home in Marco Island, will be the vacation to remember. Nicely furniture, fully equipped kitchen including glass top range, side by side refrigerator with ice maker, eating kitchen. Master bedroom with a King Size Bed, cable TV , seating area and private bathroom. Second bedroom with Queen Size Bed, cable TV, and the Third bedroom with 2 Twin Beds, cable TV. Living room with big flat TV, CD, DVD, computer with high speed internet and wifi. You can swim in the private heated oversize screened pool with barbecue to enjoy the outdoors or walk to the white sandy beach, only 5 minutes, located towards the South end of Marco Island on a cul de sac, street with no traffic. Two telephones in the house, free long distance call. There is one car garage and the drive way. There is one car garage. We offer computer, internet and free wifi for your own laptop or tablet. We provide bath towels and beach towels for 6 people. Two living rooms, one with cable TV., the other for reading with computer and wifi, faces the pool. Plenty of dishes and utensils for 6 people. Round glass table that seats 6. Cable TV in the living room and in each bedroom. Assorted books for adults and children. There are different size bicycles for all ages to explore the Island. Play Tennis at the Marco Island Racquet Club, distance is 1.7 miles from the house. There are few golf courses around Marco Island. Large pool, during winter is heated at no cost. We stayed here for a week in February and it was fantastic! Everybody (from the 20-month-old to the 75-year-old) loved it. The house was everything we had hoped for. Close proximity to the beach (about a 10 minute walk to the public beach access point), beautiful, warm pool right out the sliding door. The kitchen was fully stocked, down to a blender and (I think) an electric knife (though we didn't use it). There was a propane grill outside with all of the necessary grilling tools. The beds were comfortable and each bedroom had its own TV. In the garage are a washer and dryer, a very diverse library, and tons of beach equipment. Lots of sand toys, 4 or 5 beach umbrellas, many beach chairs, and even a cart to help lug everything to the beach. There were also bikes (and helmets), though we didn't use them. Carmen was also a pleasure to deal with. Before the trip, I sent her multiple emails, all of which she answered very promptly. She also called to check in with me on our first and last nights at the property. I highly recommend this property. I cannot say enough good things about it! ps. You cannot park on the street for a day on the beach in Marco Island, so being in close walking distance of the public beach access is key. One day, though, we did go to "South Beach" and paid the $8 for parking because we wanted to see the dolphins that hang out there. We got there at about 9 AM and the lot was almost full. At 12:30pm, when we left, there was a line of cars waiting for spots. It was worth it for one day, but the beach access near the house leads to a beautiful beach. Note: At "South Beach" there is a small foot cleaning spigot near the beach. At the beach access point near the house is a full shower to clean off the sand, as well as a bunch of life jackets in various sizes which are available to borrow. My husband, daughter and I had a wonderful vacation at Carmen's house on Marco Island. The house was clean and comfortable! I love to be able to park the car and walk to places on vacation, and that is exactly what you are able to do with this awesome location. Many restaurants, the beach, a movie theatre, shops and miniature golf are all an easy walk away. In addition, if you want to venture a little farther there are multiple bikes for you to use. We loved ending the day relaxing in the heated, private pool. This pool was sparkling clean and a good size. Carmen was a pleasure to work with. She checked in on us and quickly answered any questions we had. We would love to rent this house again!! This was our second stay at Carmen’s house. It has everything you need for the perfect stay. Kitchen is well equipped and there is a huge gas barbecue around the pool area which also has tables and chairs plus sun loungers. We used the bikes of which Carmen has about 10. All are well maintained and there’s one to suit all ages. The house is only a 5-10 minute walk to the beach which can be accessed via the public path to the left of the Hilton or via the Hilton itself which is the perfect place to enjoy a glass on wine and a Marco Island sunset. Carmen is the perfect host. She rang just after our arrival and the evening before we left to make sure everything was good. Would throughly recommend this house. We had a fabulous time on Marco Island which was made all the better by this property. The home is located in a quiet residential close and only a very very short walk to the beautiful South beach. The pool is excellent and the property is beautifully maintained. Carmen the owner is very professional and prompt in answering any queries you might have. Would highly recommend. My family enjoyed our week stay at Carmen's house. It was the perfect size for our family of three and was well stocked with everything we needed to feel at home. We had a blast using the pool which was clean and a great way to cool down in the afternoon heat. Most mornings were spent at the beach, which is an easy walk of less than ten minutes. Carmen had all kinds of beach toys, chairs, coolers, etc to use. Less than five minutes walk to multiple shops and restaurants. Throughout our booking & stay Carmen was easy to contact and quick to respond. I highly recommend Carmen's place for your trip to Marco Island. Hello Eric: Thank you for taking the time lo leave us a wonderful review, we are glad that you and family enjoyed your stay. The house and all of the amenities worked out well. The weather, the proximity of the local restaurants and the serenity of the island were a definite plus. The only down side - which obviously is out of the control of everyone - was the red tide factor. It prevented any walks along the beaches due to the respiratory effects it had on us. Thank goodness the pool was inviting and refreshing. Most of our down time was spent out there. Marco Island is home to some of the world's most beautiful beaches and offers world-class golf. It has immediate access to Everglades National Park and the Gulf of Mexico. Beach combing, shelling, bird watching, fishing, boating, sailing, canoeing and kayaking, golf and tennis are the top choices for outdoor activities also plenty of choices for shopping, dining and sightseeing. The first Payment of $500 is the refundable security deposit, the rent is due 30 days prior to the arrival. The changeover day during winter is Saturday.